Could a R29m rhino horn haul in Hong Kong have come from the Kruger National Park? 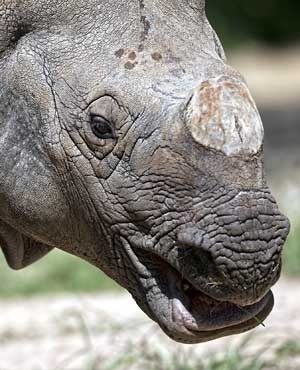 Johannesburg - SANParks on Sunday denied that the Kruger National Park (KNP) planned on moving 500 of its rhino out of the park and selling half of them to private buyers. "This matter is one of the matters currently under discussion by the board of SANParks and reporting on it was rather premature," spokesperson Wanda Mkutshulwa said in a statement. The Sunday Times reported the KNP planned on evacuating the 500 rhino to a secret location in a last-ditch bid to save the animals from poachers. Mkutshulwa said the movement of rhino for their protection was nothing new in the country. He said the current population in the KNP came from a seed stock of about 350 rhino from Hluhluwe Mfolozi Park in St Lucia, KwaZulu-Natal in the 1960s when rhino were locally extinct in the park. The paper reported that there was infighting in SANParks which was getting in the way of the planned move. Mkutshulwa dismissed it as a rumour. "We are not aware where such information would be emanating from and believe it is just a rumour from unnamed sources we would really prefer to refrain from responding to." He said the SANParks board had scheduled a meeting to deliberate on proposals to implement further plans in the protection of rhino. The board would possibly make key decisions or further recommendations to management at the meeting. "The public will be appraised of any matters of relevance," Mkutshulwa said.